The 2019's ceremony was largely an exercise in damage limitations. In the run-up to Sunday's show, the conversation was focused on who couldn't be bothered to play music's "biggest night" and whether Recording Academy president Neil Portnow could put out the fire he started with his "Women need to step up" comment last year. On those issues, the Academy can say this was a mostly successful night. Sure, there was a noticeable lack of star power on the show – only Cardi B and Lady Gaga felt like true A-listers – but it hit the right notes on key points. * Alicia Keys was a clear upgrade on James Cordon; on account of her first love being music, rather than attention. Kacey Musgraves was a worthy Album of the Year winner. And two glass-ceilings were broken with Cardi B’s Best Rap Album win and Childish Gambino’s Record/Song of the Year. There were inevitable moments of the Academy Grammy-ing it up, such as Jennifer Lopez’s glitzy, but soulless Motown tribute and Post Malone featuring Red Hot Chili Peppers. But like when talking politics with your grandparents, you have to emphasise the positives. This year’s Grammys thankfully felt more progressive than not and for that, it should be celebrated. Nevertheless, it could and should have been stronger. If Portnow really believed women needed to “step up”, this was a great year for him to prove it. Whether you were talking about cultural relevance or critical acclaim, women dominated music in 2018. On the charts, Ariana Grande and Cardi B produced year-defining hits, while Kacey Musgraves, Janelle Monae, and Mitski featured frequently at the top of critics’ year-end lists. The door was politely opened to women in the industry at this year’s show, but given the past 12 months, it should have been blown off. At Sunday night’s ceremony, it was women who provided the most memorable moments as well; whether it was Lady Gaga’s gutsy speech on mental health, St Vincent and Dua Lipa’s alt-pop fan-fiction, Camila Cabello’s Broadway-ready rendition of ‘Havana’, or heartfelt tributes to Dolly Parton and Aretha Franklin. In contrast, men were notable largely through their absence – e.g. Childish Gambino and a still-detained 21 Savage – although Drake’s “thank you but f*** you” acceptance speech was a rare highlight. It isn’t hard to imagine a different night where female artists swept the top awards, with “I Like It” taking Record of the Year and “Shallow” taking Song. In this example, it would be hard to argue that the Grammys were manipulating the results to improve their record on gender diversity. “I Like It” was a bigger single than “This Is America” – certainly on the charts and in some critical circles as well. “Shallow” was also huge and is undoubtedly a better song than “This Is America” if we’re talking about traditional songcraft, which you would assume the category is designed to recognise. Taken in isolation, 2019 looks like an exemplary year for diversity at the Grammys, but understanding the problem requires a look at the trend of winners and nominees over years. With only four major award categories each year (Album, Record, Song and Best New Artist), individual years are wildly unrepresentative of general trends. If we ignore the excitement of individual success stories, we can see a bleaker picture of the Grammys’ record on diversity. Based on the four major awards, we can see a decrease in the number of nominations for female-only artists/groups over the past 20 years, while the success of men remains largely unaffected. In the 1990s, 34.5% of nominees were female-only artists/groups. That decade was a high-water mark. In the 2010s, only 28% of nominees were female-only artists/groups. There are also examples of mixed nominees (meaning duos/groups with both male and female members), but these often consist of groups of male songwriters or producers with a single female contributor. There is a more depressing story when it comes to the winners of top awards. In the 1990s (again a high-water mark), 45% of winners were female-only artists/groups, but in the 2010s, this percentage decreased to 27.5%. Of course, this could be explained by male artists producing better music than they did 20 years ago, but that argument doesn’t seem credible when so many of this decade’s defining artists have been women (e.g. Beyonce, Rihanna, Lady Gaga, Adele, Taylor Swift etc). Similarly, that doesn’t explain a year like this one, where female artists dominated and therefore should have dominated the Grammys. So yes, this year’s Grammys were better than average. It felt like an award show that had moved from critical to stable condition. 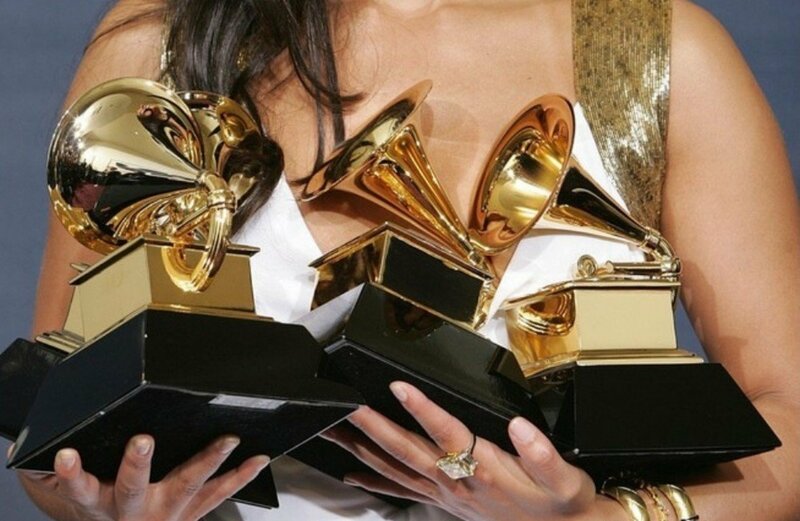 But if this is what a good year at the Grammys looks like for women, you have to wonder what more they can do? Because in terms of the night’s big awards, women only achieved equality – they did not dominate. And further down the winner’s list, there were still too many men picking up gongs for mediocre projects; a Best Rock Album for Greta Van Fleet, Best Reggae Album for Shaggy & Sting and two Grammys for a Beck record even his fans would call sub-par. 2018 was a banner year for women in music. It will likely be remembered as such when we look back at the evolution of the industry. But was the 2019 Grammys a banner year? No. It was a year when more good records won than usual, which is something to be happy about, but not enough to celebrate. Women did answer Neil Portnow’s call to “step up”, even if they didn’t do it for him. The Grammys missed their shot. *I say this as someone who didn’t watch the full four-hour show, of course. Your opinion may vary if you were foolish enough to watch the entire thing.